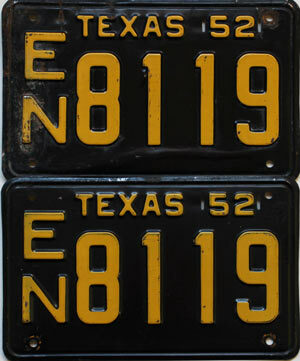 This is a pair of 1952 Texas license plates # 8119, with good original paint and in good condition. A nice pair. See picture.